At the end of the month I finished up an intense (for me to write, not so much for you to read) article about the three presidential libraries and museums in Texas. I've visited the George H. W. Bush Presidential Library and Museum here in College Station, but I have yet to make it to the other two - the Lyndon Baines Johnson Presidential Library and Museum in Austin and the George W. Bush Center in Dallas - covered in the article. However now that I know what these establishments have to offer, I might take the kids on a field trip or two to check them out in person! 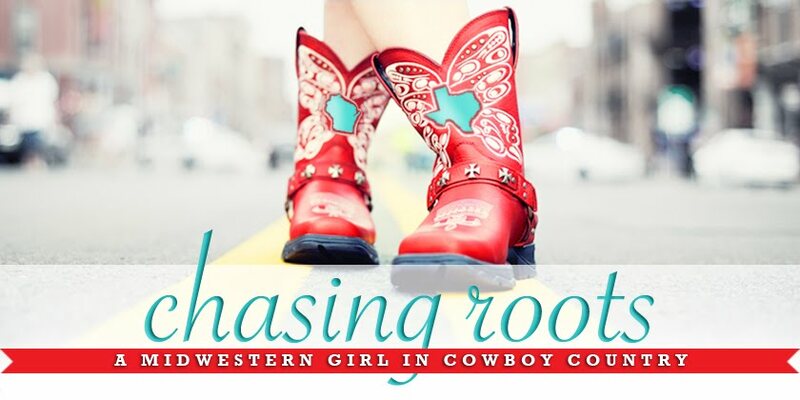 I have two new writing gigs in the works! Most of you will never read anything I write for the first one because it's a small neighborhood publication in Nebraska, but the other one will involve editing for a fantastic up-and-coming website. I can't wait to share more information with you in the coming months! In preparation for my library's SEVEN MONTH closure, I downloaded the Kindle app. Shortly after doing so, however, I realized I don't like reading books on my phone - it hurts my eyes, and I found that because I usually skim that which I read on my phone, I did the same with books and therefore didn't fully comprehend what I was reading. I may need to visit the little libraries in my area - we have one in our yard and there are two others within walking distance of my house - a little more frequently in the coming months. I watched the original Queer Eye for the Straight Guy 15 years ago, but I didn't care enough about the show to pay much attention when Netflix released a reboot at the beginning of 2018. But I kept seeing articles about how well the new version played with viewers - I heard it described as interesting, fun, funny, endearing, and even powerful - so I gave it a try this month. And OHHHH, how I love it. I have cried while watching every single episode (and I'm already midway through season two) because of the impact these five personalities are having on the lives - not just the hair, the clothes, and/or the home - of the men they encounter. I'm so glad to hear the show was renewed for a third season! I look forward to the end of September/beginning of October because all some of my favorite television shows return and all of the new television series launch. In preparation for this time of year, Tom took our old cable box to Suddenlink and traded it out for a new cable box that has a much higher capacity to record. I love him. I know it's a little early, but have you developed any favorites thus far? I'm so glad to have Modern Family and This Is Us back, and I can't wait to see where Manifest and A Million Little Things go. 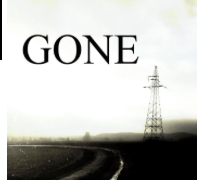 I just started listening to the podcast Gone, which begins when the main - and only, thus far - character wakes and finds she is completely alone in the world: "this is a story about what happens when the world goes dark, and everyone else is gone". The premise is a little spooky, so I only listen at the gym and while surrounding by other people rather than when I walk alone in the early mornings or at night. Season three of Serial has begun! This season's premise has been altered slightly (compared to the premises of seasons past), but the first two episodes under this new format did not disappoint. High temperatures have dropped into the 80s, so I can finally wear jeans again! As long as I don't have to be outside for longer than five minutes, of course. I don't shop much in September and October in preparation for my annual fall shopping extravaganza with my mom and sister. Instead, I make lists of items for which I plan to look, for myself, for the kids, for Tom, and/or as gifts. As of right now, my list includes a few miscellaneous gifts for family members and friends, Christmas pajamas and stocking stuffers for the kids, a couple of shirt and tie combos for Tom, and sunglasses, athletic shoes, and some kind of non-boot fall shoe for me. I look forward to this trip every fall, and this year is no exception - I'm coming, Mom and Sara! I have known about AirDrop for a while, but I admit to thinking it existed solely to allow for phone-to-phone transfer of larger than usual videos. I recently discovered that it can also allow me to easily and almost instantaneously move anything from my phone to computer and my life is forever changed. I usually share what I have tried/used and liked, however this month I want to also share a little something I tried/used and didn't like: Kool Aid as hair dye. Yes, Hallie has light blonde hair, but I thought that if I cut the suggested dyeing time in half, the Kool Aid should still wash out in 2-4 weeks per the instructions. Nope. First, over the course of the first week the dye crept up almost two inches above the dye line. Then at about four weeks post-dye, we attempted to remove the dye three times and while the color lightened, it never fully disappeared. Eventually we cut about four inches off, but we couldn't go any shorter because she needs to wear her hair in a bun multiple times a week. So here we are two months post-dye and Hallie still has pink tips. Lesson learned. And a pale pink bun. At least it doesn't still look like this! This Vegan Black Bean Soup went over well with everyone, including Hallie! I left out the jalapeño because I forgot to buy one at the grocery store, and I skipped the cilantro because in our family no one likes it except Will. Tom, Will, and I all enjoyed this Creamy Pasta with Asparagus and Bacon...except with green beans instead of asparagus because asparagus was shockingly expensive that week. I also skipped the chicken soup base, swapped almond milk for the heavy cream, and tripled the recipe, as it seems to be written for just one person or two people. I opted to serve this Avocado Chicken Salad in a deconstructed state (all of the ingredients in the same bowl but splayed out in wedges with the dressing on the side) so Hallie could assemble her plate according to her tastes, but that didn't change how deliciously it all came together. I included the hardboiled eggs (not listed in the ingredients but shown in the pictures) and the only adaptation I made was to add two tablespoons of dijon mustard and two tablespoons of honey to the dressing. I have shared this recipe for Raisin Bran Cookies before, but I made them again a couple of weeks ago and they went over so well that I thought they deserved a second share. As always, I adapted the recipe slightly: I used only all-purpose flour (I really don't like the flavor of whole wheat flour in cookies), and I decreased the granulated sugar to 1/2 cup and the brown sugar to 1/4 cup. This brilliant kid who figured out how to recycle styrofoam. "Making friends is easier than eating chocolate." Simple. Beautiful. What's new and interesting in your world this month?